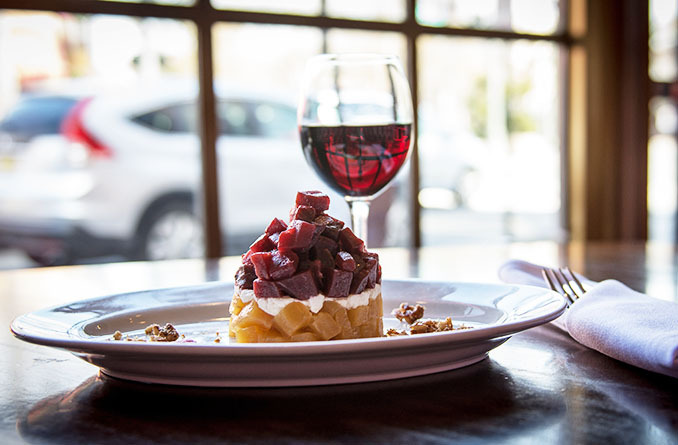 Brasserie is a French American bistro located in the heart of Tenafly, NJ. Enjoy fresh, delicious food served in a timelessly upscale yet casual atmosphere from a seasonal menu inspired by Mediterranean French cuisine. Brasserie is a casual dining BYOB restaurant. Bring your favorite bottle with you and our attentive staff will uncork and serve it to you table side. Brasserie offers BYOB services with no corkage fee! "By far one of the best if not THE best places in the area. Have a great variety of choices for breakfast, lunch and dinner. Scratch made kitchen...Dinner has nightly specials with a nice variety of items on the menu...They also deliver!! On top of that, they have the best crepes in Bergen County!